I’ll spare the details, but I made another trip to Home Depot, got some more paint samples and painted some a few new batches of squares. Because the first Mario’s colors were kind of weird, I wanted to change it up a little this week. I think it turned out pretty well. 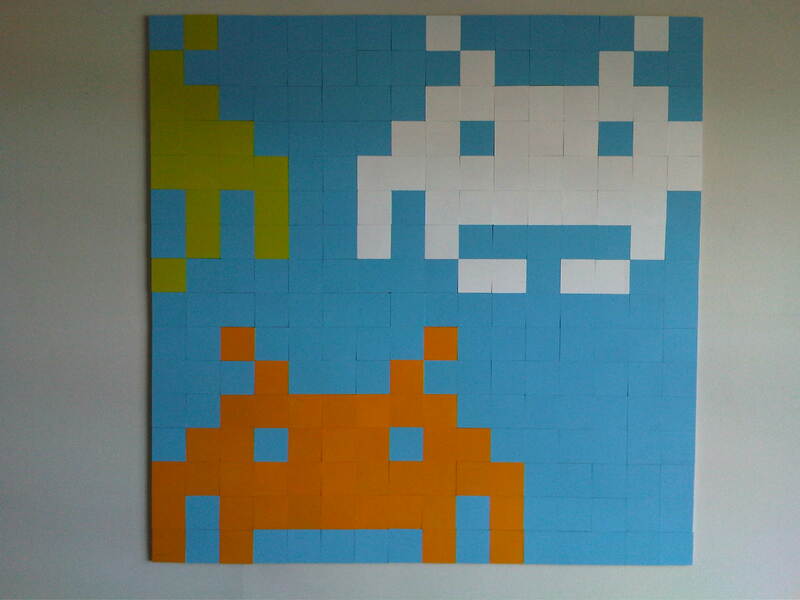 It took me about 30 minutes to switch the tiles up. 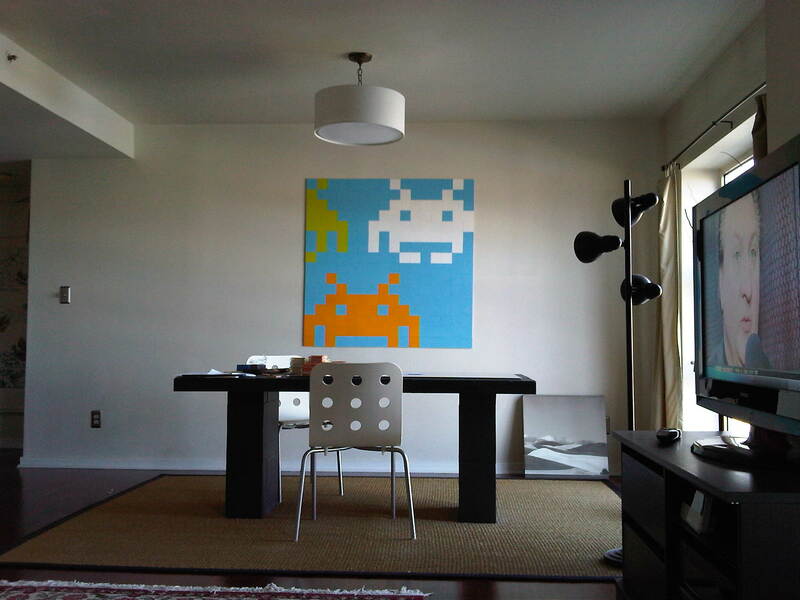 This picture gives a better idea of how large this thing really is (4×4′). 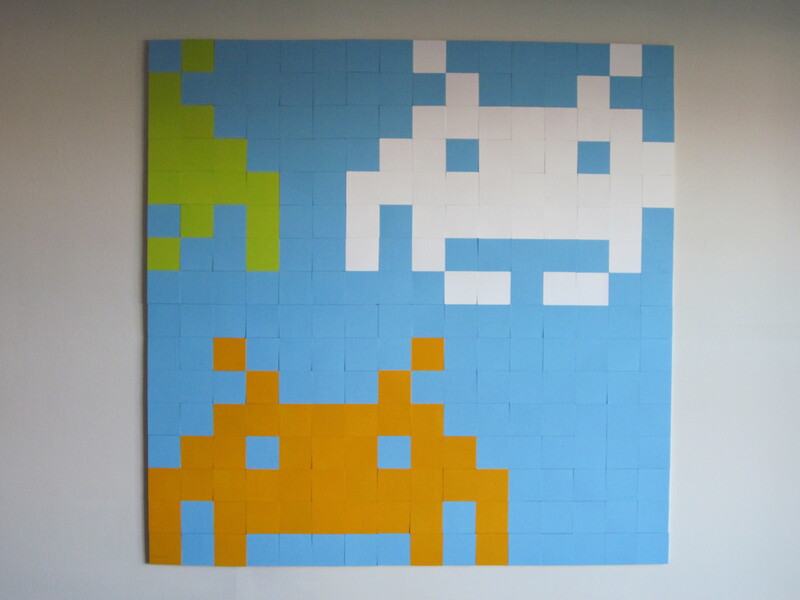 This was my original design that I did in Excel but I had to add the green “invader” when I realized I didn’t have enough blue tiles. 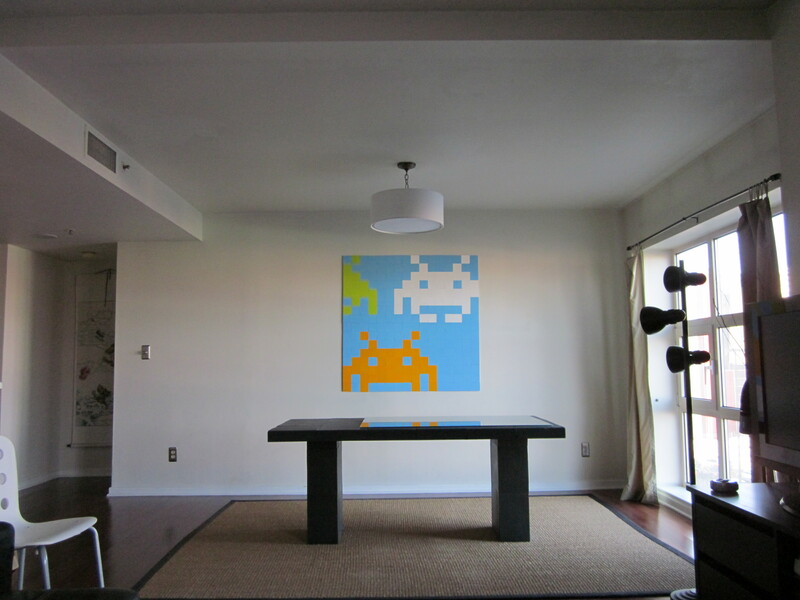 This entry was posted in 8 Bit Sprites, Mosaics and tagged 8-bit art, Atari, Mosaic Project, Space Invaders. Bookmark the permalink.